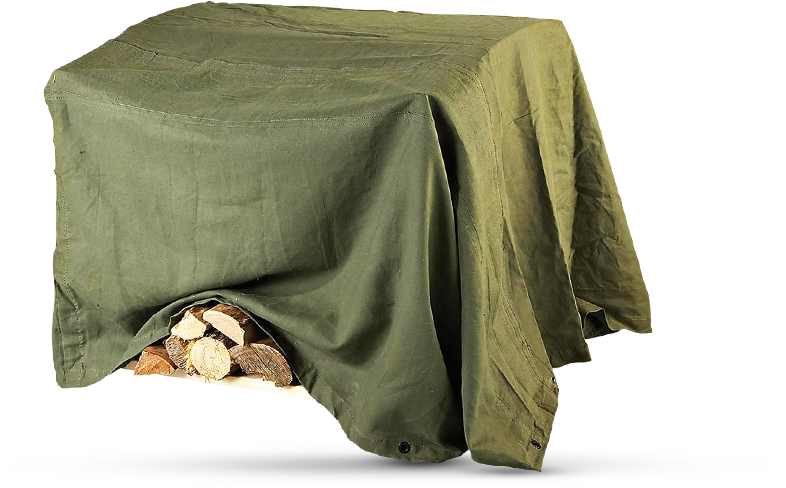 Our selection of canvas tarps for sale includes 10-ounce and 12-ounce tarps in a variety of colors. Ideal for enduring every weather system imaginable, our heavy-duty polyethylene tarps are built for the outdoors. Sturdy, reliable and durable, our vinyl tarps are available in 10-ounce, 13-ounce, 18-ounce and 27-ounce weights. For decades, our company has invited our customers to select superior poly tarps, canopies and quality accessories for their commercial and residential needs. Our canopy kits include a UV-resistant, mildew-resistant and waterproof cover, and all the things you need for a stress-free setup. The galvanized steel frames provide a strong, sturdy place where you can attach fittings that will hold it in place. Our UV-resistant polyethylene material protects your boats and cars from chipping and peeling over time. And bright sun is no match for our products, so you don't have to worry about fading. Whether you need an inexpensive place to store your firewood in anticipation of a chilly winter or you need a portable garage to park a car or keep your ATV safe from the elements, we have the solution for you. Sometimes, our customers with the greenest thumbs want a place to grow plants that allows the perfect amount of sunshine to filter through, but also need some shade. Guess what! Our mesh shade canopies do the trick. They also provide shelter for friends and family while they hang out with you on summer afternoons. Many of our customers don't have the need for an expensive brick and mortar garage. Who can blame you? Being cost-effective is being smart. Whatever your needs are, we try our best to show you the product that fits them. Our products come in a variety of sizes, colors and styles, perfect for the unique needs each of our customers has. We make ourselves available to answer your questions, so you can be sure that you get what you need. Thank you for choosing A1 Tarps. It is our aim to keep our customers coming back for years to come.